As the summer months get closer and closer, there is no better time than now to plant your Garden. Regardless of your level of garden savviness it is always good to gather new information that will give your “green thumb” the edge it needs. Here in Columbus, Ohio unique challenges will present themselves, so always be conscious of your location. We have put together a list of tips that will help you get your garden started in the right direction. Do you think that you are a little late building your garden this year? No worries, there are a wide variety of plants and herbs that make it possible to plant even in late May or early June. Depending on what month you are planting will make it easier to determine which plants to select to start building your perfect garden. 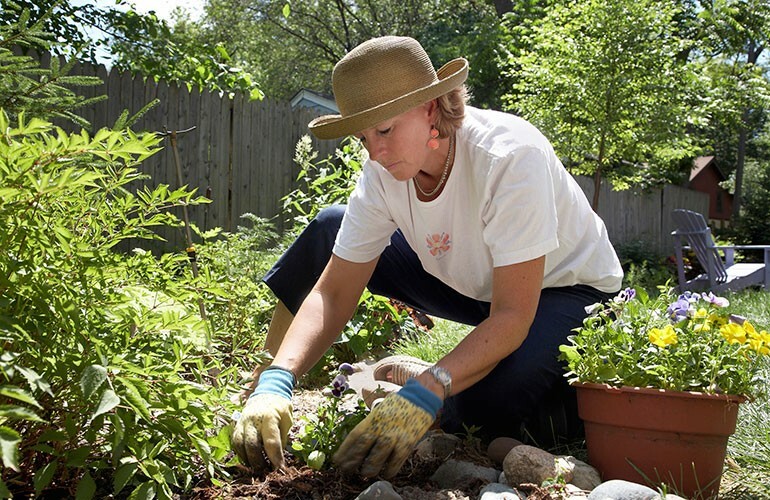 Columbus in the month of May still has a wide variety of gardening options. This website has a well organized list of what vegetables, herbs, and flowers perform best depending on the planting month. When building your garden you want to pick plants that are going to perform well based on your climate. If you are living in a dry, arid location your plant selection is going to be much different than a person living in a cooler wetter region. Naturally, you do have the ability to overcome your geographic hurdles through some additional work, but keep it simple when you’re first starting out. We know more well than others about how unpredictable weather can be in Central Ohio, so it is best to prepare for anything. Your local plant nursery is a fantastic place to discover what to put into your garden. These folks have the best knowledge of the local soil, weather patterns, and potential pests. One thing that is imperative for a successful garden is the amount of sun your plant bed will be receiving. Time the amount of sun that each of your growing beds receives throughout the day. Once you have a good estimate of how long these beds are in direct sunlight you can then pick your plants. Each plant has an optimal amount of time that it should be in direct sunlight. You can usually find this information listed on labels at gardening centers. Many experienced gardeners will make the mistake of thinking that planting beds will always receive the same amount of sun. Keep in mind that trees grow and surrounding houses/buildings can be changed thus altering the amount of sun you may actually be receiving. Each year you will have an inevitable run-in with some form of pest that will attempt to wreak havoc on your plant beds. 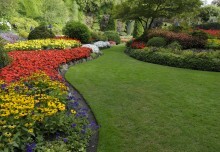 Pest will strike at any time, thus giving you a responsibility to defend your gardens and flowers. You should be able to predict the likely assailants depending on where you live. Check with neighbors to see what problems they may have had and always keep an eye out. Once you have identified your garden’s enemies prepare accordingly. Fences, certain flowers, or even scarecrows may all be of use to you when protecting your garden. In Columbus you could run into a variety of wildlife that will give you headaches: squirrels, rabbits, raccoons, deer, or even the neighbors dog. Always be ready to switch your protective approaches because pests will eventually find a way to gain the upperhand. If you stay on your toes you will be able to win the battle and your plants will be forever grateful. Each year presents the chance to start a new adventure outside. You have the opportunity to expand your garden, plant new flowers, build a unique landscape, or start the project that you have always dreamed of. If you take the chance to go down a new path you will find that same excitement that you had in the past when starting a new endeavor. When trying something new you grow not only your garden but also your understanding and knowledge of the hobby. Summer is upon us, so get out there and have fun! Since 1994, Architectural gardens has been creating unique, functional, enjoyable landscapes for our clients in central Ohio. Our award-winning services have resulted in long term relationships with many of our clients.